My most traveled to city, love this place! Most Canadians can find a 4 day 3 night trip to be as low as $400 for flight and hotel. In this post I’ll focus on hotels and rewards. I will do separate posts on shows and attractions. I have stayed all over the strip, MGM Grand, Luxor, Excalibur, Park MGM (formally Monte Carlo) and The Mirage. All of these resorts are MGM properties and are with M-Life players rewards. Let me first start with M-Life and MyVegas rewards. If you have Facebook and a mobile phone I recommend playing their free games on Facebook and downloading MyVegas Slots, MyVegas Blackjack, PopSlots and MyKONAMI. These apps are free and you earn rewards to redeem on our next trip to Vegas. So far I have claimed, buffet passes, free show tickets and discounted nights. As for M-Life you are 25 points for every dollar gambled or spent on serveries on the resorts. You need to charge anything you can to the room to get this benefit as the card will be linked to your room. This can be restaurants, bar service at the pool or spa packages. When you earn 25,000 points in a year they will email you offers such as “Stay for free for 3 nights (just pay resort fees)”. Speaking of “Resort Fees”. All hotels on the Strip charge them. This is a mandatory charge above the room. It is per night not per person and can be as high as $41USD a night. 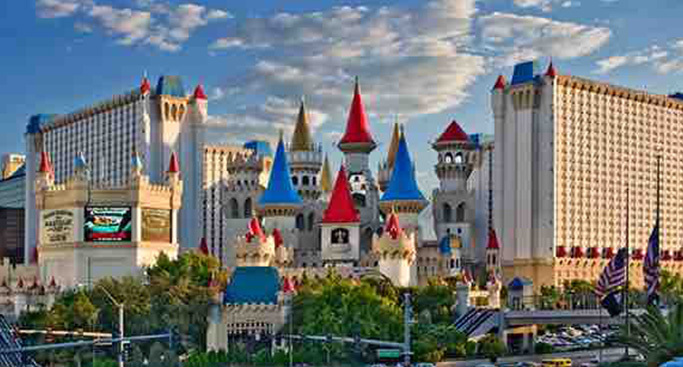 The first hotel I ever stayed at in Vegas. The hotel itself is starting to age a bit. I stayed in a pyramid room and found that the rooms are a lot smaller due to the angle for the exterior wall. I would recommend a Tower Room if you want a better room. The tower is the two buildings to the right of the pyramid in the photo above. The second hotel I stayed in Vegas, the one time and the last time! The room rates are low however the resort needs a lot of renovations. The smell of smoke when you are inside is very strong. Unless you have to stay here I would spend a bit more for a newer resort. MGM Grand I have now stayed here 3 times. I have never had any issues. The resort is close to the airport and at the end of the monorail. The elevators is very close to the hotel lobby. However the walk to anywhere else is a long one. 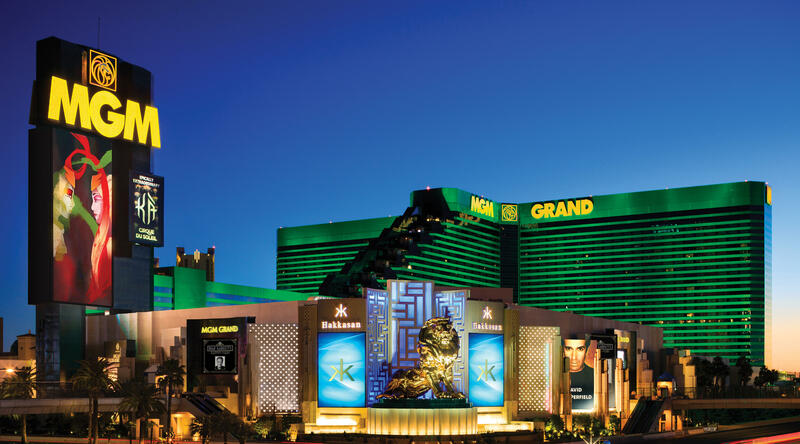 The strip is a through the entire casino and the pool is the opposite direction but past the food court 6 restaurants, the Garden Arena and the Television city area. The pool complex at the MGM is the best I have stayed at. It is massive with a giant lazy river. Be sure to check out Top Golf located behind the resort! It is a mix of driving range meets bowling alley meets nightclub. Make sure to bring a bathing suit! I have stayed here once when the resort was changing from the Monte Carlo the Park MGM. The casino floor is smaller than most and however the layout is very straight forward and easy to get around. The rooms when I stayed there were very basic and the beds were hard. I hope with the renos they fixed this issue. The Mirage I have also stayed at The Mirage 3 times now and have never had any issues. The rooms are very nice and the pool is huge. The buffet is one of my favorites on the strip. I would recommend BLT Burger located as you walk in from the strip on the left. If you can book a Tower Deluxe room, they are located where the Beatles Love image is at the top of the building. As with any hotel in Vegas always try the $20.00 trick. This is when you place a $20.00 bill between your credit card and your ID when you check in and ask if any complementary upgrades are available. Keep in mind if you booked the cheapest room or are already getting a comped room you are more likely to not get nay upgrade. This has worked for me about 50% of the time. But hey you’re in Vegas its a gamble! My next Vegas post will be on the shows I have been to!